A quick, easy way to submit a large number of files. If you have a large number of files (images, audio, 3d models, etc) that you don't want to submit individually, you can now submit them as an archive. Archives can be submitted anonymously, but in that case I can't use them unless you provide attribution information. Over the last couple of days, I've been working on getting some of the kinks out of the site, and I think it's coming along fairly well. My next project is going to be expanding into audio, both sound effects and music. The audio section should debut with an original set of sound effects, so keep checking back over the next few days. I've just spent the better part of a day getting everything set up and uploading some initial content, generously donated by my talented friend Mandi Paugh. There's not a whole lot here just yet, but I'm hoping I'll be able to drum up enough interest that I can expand the gallery pretty quickly. Failing that, I'll slowly dig up and/or commission artwork until there is enough to generate interest. Want to help? If you're an artist and you've got some old game art sitting around gathering dust, this is a great way for it to see the light of day. Dig it up, click on "Submit 2D Art" in the upper left corner of the page, and donate your old pixels to a worthy cause. The more, the merrier. Don't be alarmed if your art doesn't show up immediately; I have to review and approve it before it becomes publicly available. Response time should be less than a day, probably a lot less if you submit your art between 9 AM and 11 PM Eastern Standard Time. Note that I plan on eventually accepting 3D art, music, and sound effects as well, but I want to get things up and running first. Our current goal is to put together enough art that someone could use it to create a Japanese-style 2D fantasy RPG from scratch. To this end, we're especially looking for character sprites, portraits, monster sprites, map tiles, and weapon/item icons. Just to reiterate, though, all 2D game art is welcome at this time. If you think this idea is particularly awesome and you'd like to help me with the day-to-day running of the site, I could always use another site maintainer or two, people to write articles, and a good artist to do art reviews. If you're just curious, feel free to poke around, read the FAQ, and if you're up for it, leave your thoughts (good or bad) on the forum. 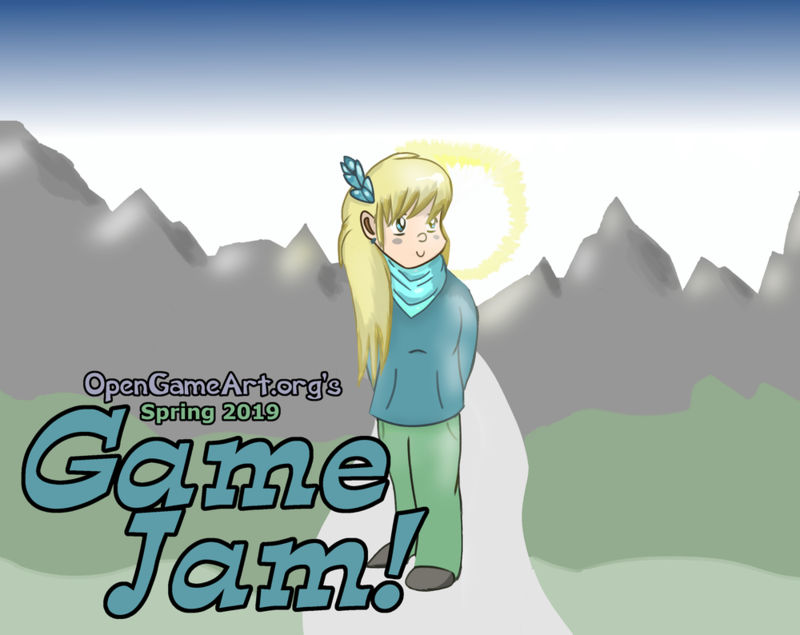 Spring is in the air and it's time to create something new, something fun, something exciting, something for the OpenGameArt.org Spring 2019 Game Jam! This year's theme is 'I enjoy my life' and enjoy your life you will if you participate in this thrilling game jam!